Gold, Silver, and Bronze medals are displayed before being given out to the winners during the annual Spring Games at Bobby Lackey Stadium in Weslaco. 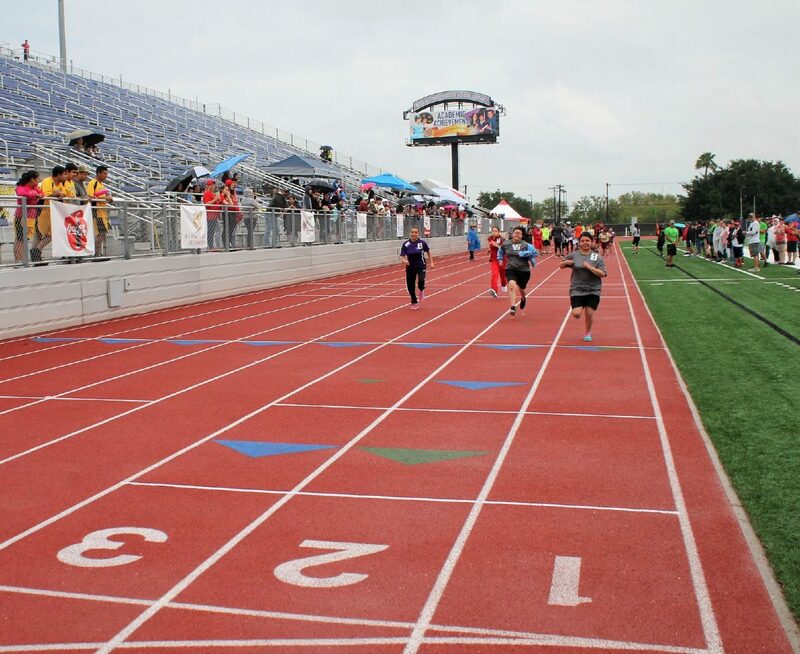 WESLACO — For the past two days, a spirited track and field competition has been going on at Bobby Lackey Stadium for the annual Special Olympics-Rio Grande Valley Spring Games. The games began Friday with the lighting of the cauldron which was placed in the center of the field followed by the parade of athletes around the football stadium track. The full day of games included walking, wheelchair walking and relay races. On Saturday, the morning began with rain that delayed the start of the games by about 90 minutes. But once the skies cleared, competition resumed with races of 50, 100 and 200 meters around the stadium. 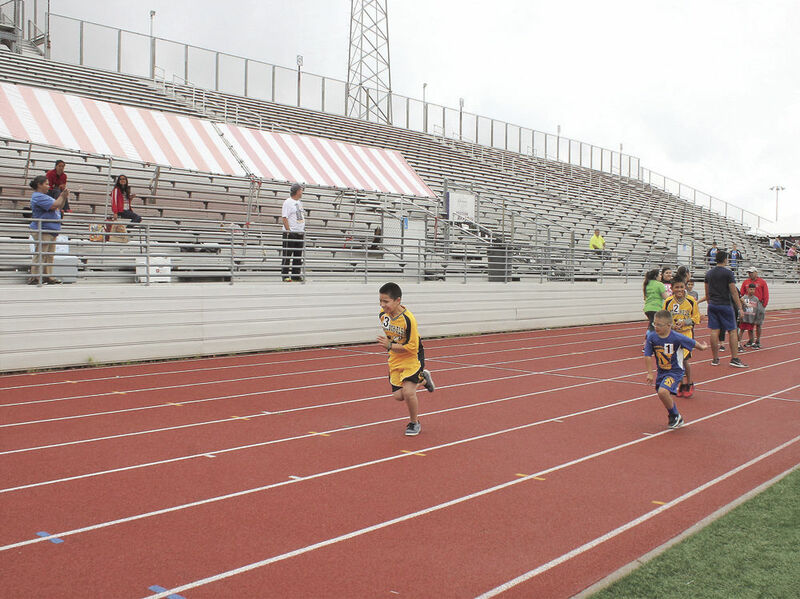 Andres Guillen III, left, Edcouch-Elsa ISD; Anthony Brown, IDEA Weslaco, and Jayden Acosta, Edcouch-Elsa ISD, run the 50 meter race during the annual Spring Games at Bobby Lackey Stadium in Weslaco. From left, Perla Puente, Weslaco ISD; Leiliana Portales, La Joya ISD; Precious Moreno, Mercedes Co-op; and Lizeth De La Fuente, Mercedes Co-op run the 50 meter race during the annual Spring Games at Bobby Lackey Stadium in Weslaco. The races were divided by gender and age bracket. After each segment, the first-, second-, and third-place winners stood atop a platform and received their medals. 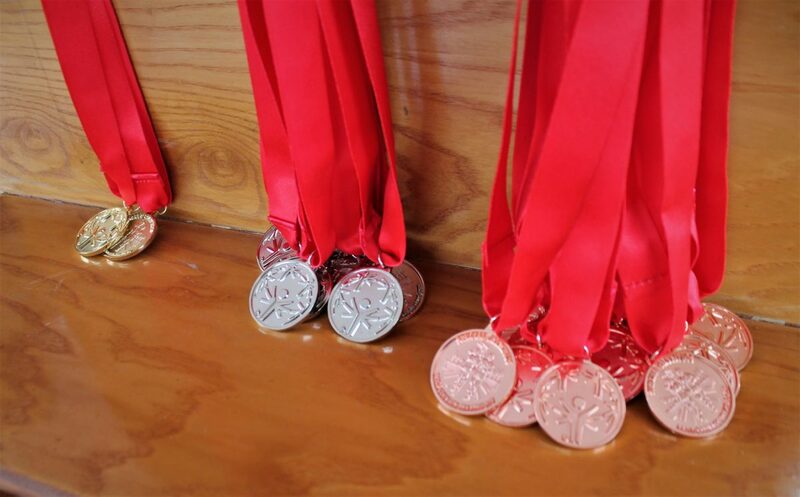 Similar to the summer and winter Olympic Games, the participants received gold for first place, silver for second and bronze for third. Vanguard Rembrandt Academy student Tyler Ray Aguirre, 9, was among the competitors and won the gold in the male division of the 50-meter race. “I was happy that I won first place and my dad told me to win,” Tyler said. School districts and adult teams from Brownsville to Roma participated in the spring games. Another competitor and runner was 16-year-old Le’Shawn Valdez who attends Mercedes Special Education Cooperative. He also won a gold medal in his division. Valdez has participated in bowling, bocce, basketball and track and field. “I knew I was going to win,” Valdez said. For the past two weeks, Valdez was focused on winning the spring games. The field games of softball, baseball, shot put and tennis, usual Special Olympics events, were canceled for this year.